USD Just Read! 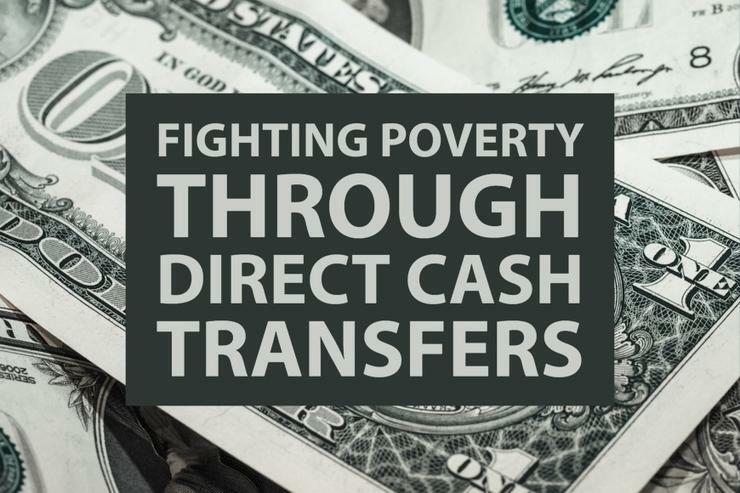 presents “Fighting Poverty through Direct Cash Transfers"
Wednesday, February 13, 2019 from 4:00 p.m. to 5:20 p.m. In collaboration with this year's selected book, $2.00 a Day: Living on Almost Nothing in America, the Center for Ethics, Economics and Public Policy presents “Fighting Poverty through Direct Cash Transfers”— A Conversation with GiveDirectly’s Paul Niehaus. What’s the best way to fight poverty? Here is one radical, simple idea: give cash to the poor and let them decide what to do with it, no strings attached. Over the past several years, this new approach has begun to gain international attention. Both domestic welfare policies and international development programs usually employ a top-down approach that’s heavily paternalistic, where the needs of the poor are determined by experts, and the aid itself is often made conditional on meeting various requirements set out by those experts. But, with a growing body of empirical research demonstrating their effectiveness, cash transfers are giving this traditional approach a run for its money. Paul Niehaus, PhD, is an economist at the University of California San Diego, and one of the founders of GiveDirectly. In this talk, he discusses his work in establishing a universal basic income in rural Kenya, and other efforts to fight poverty through direct cash transfers, both internationally and right here in the United States. Please note: This event is open to the public. Visit our Just Read! website to learn more or visit the CEE website to view more upcoming events.